oomph. : a week of spring dressing. bright florals. it's a week of spring dressing...brights, print mixing, and, of course, florals. it just wouldn't be right to let spring pass without rocking a bright spring dress. and even though i feel a little out of my element in it, i'm hoping these little black details help tone it down a bit. we recently got our first anthropologie store, and while i was only passing thru this time, i want to go back and get evvvrything in their home sections. 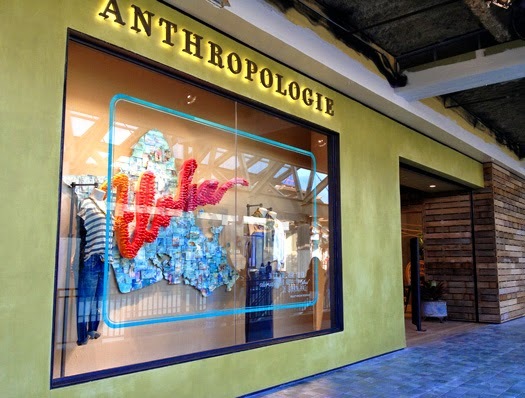 do you have an anthropologie near you? what trends do you associate with spring fashion? anthropologie at ala moana shopping center, oahu, hi. 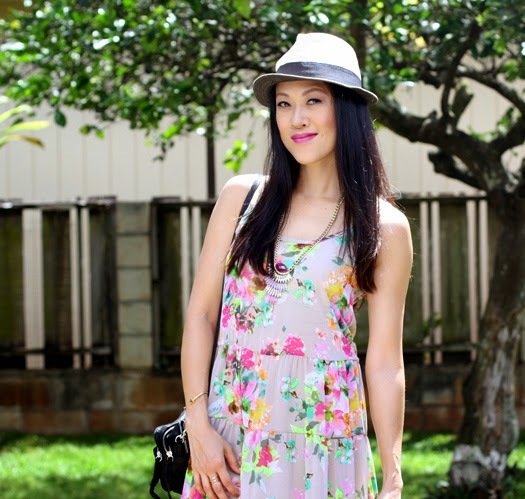 shop Patty's Closet in hawaii and get 20% off when you mention '808bloggers' at checkout. two locations: mililani town center & pearl highlands. there's still time to get your first month of Rocksbox FREE! LOVE everything in my latest box! I'm still wearing lots of black (it's not fully spring yet here in NYC) but slowly sneaking in some flowery scarves and bright colored purses as well. Gorgeous outfit, the floral dress is lovely and perfect for spring! I love this dress, it is so bright and cheery! Newest FOLLOWER on bloglovin', pinterest and instagram -- yay!! !! !! Love this dress, perfect for Spring. I actually bought two of those bracelets from Rocksbox! And I do like the home section at Anthro as well. Sometimes it's just a bit expensive. Super cute floral spring look! We have an Anthro but it is so expensive that I usually pass it by. Their stuff is cute though! I love your dress! And the hat and sandals are great with it! thats such a cute dress! you always mention Patty's Closet, I would love to shop there one day! really cute dress becks! floral prints are so pretty! we have an anthropologie downtown. they always have the cutest home items! i love them! i just got the bag and samples today becks! they are SMALL! hahahaha i'll show the actual bag and stuff in a blog post. That's a really gorgeous dress! We dont have an Anthro store down under but I wish we did! Such a cute dress. I love florals for spring. You look great!